PennsylvAsia: Filipino American Association of Pittsburgh Christmas party, December 8. 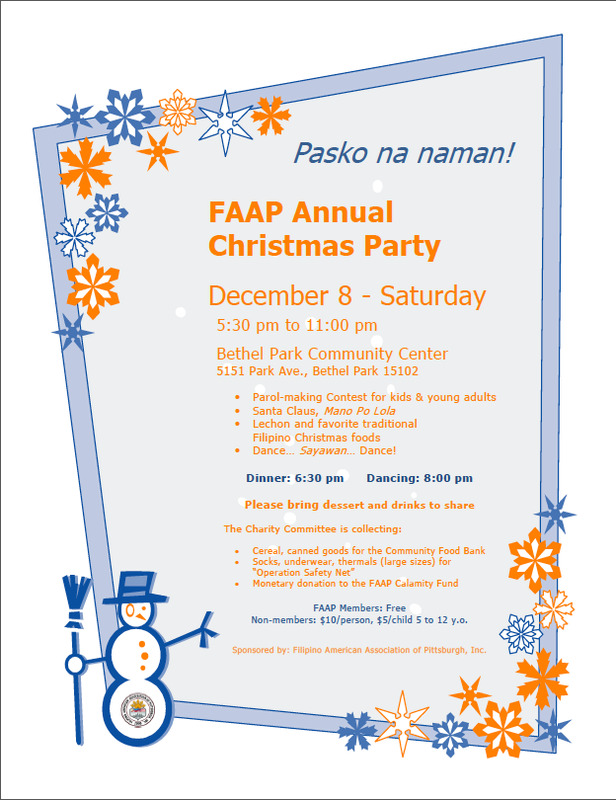 Filipino American Association of Pittsburgh Christmas party, December 8. 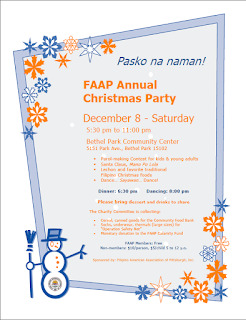 As the flyer says, the Filipino American Association of Pittsburgh will host its annual Christmas party tomorrow evening, December 8, at the Bethel Park Community Center (map).